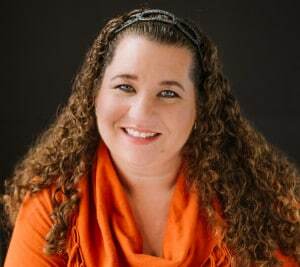 Now is the time for spring STEM activities for kids! 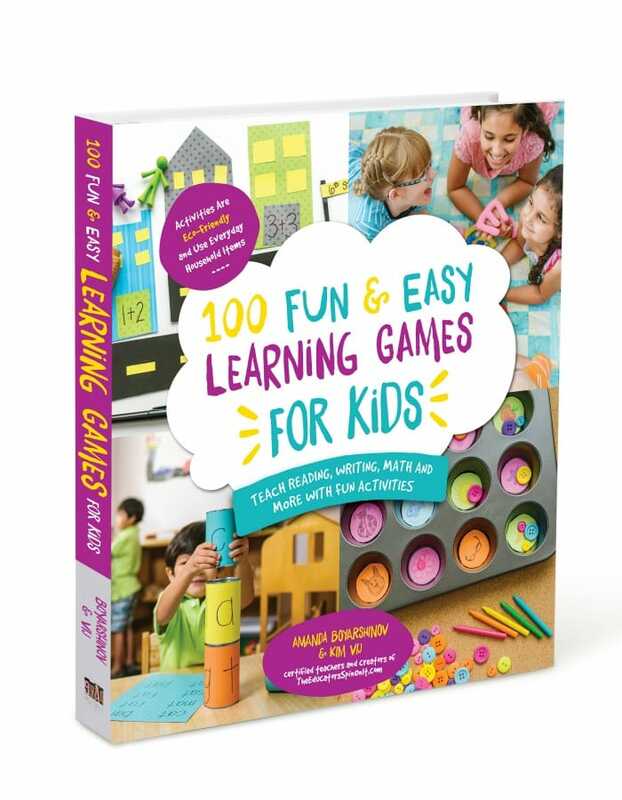 Bring science, technology, engineering and math time into your springtime learning stations. 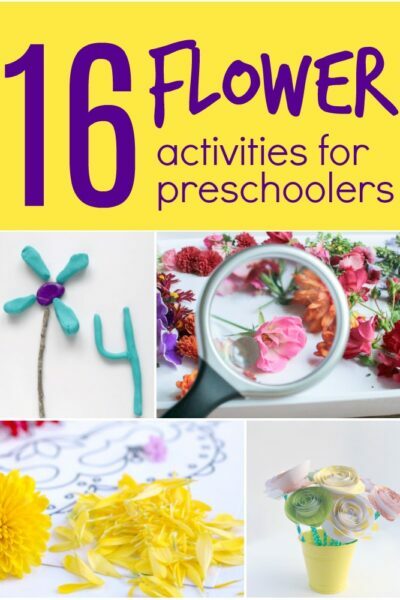 Easy to set-up experiments and activities for preschoolers ages 3 and up. Although originally written for young children, I set these stations up for my kindergarten and 4th grader too. They had fun exploring spring STEM after school and were able to extend the concepts even further. We like to set up learning centers that children can rotate between throughout the week. I keep the materials for each station in closed Tupperware containers to not distract the children during other parts of our learning day. During center time, The children choose what center to start at and I rotate between stations observing and assisting. If there is a different adult in the room, I will often as them to assist with the messiest or most complicated station. 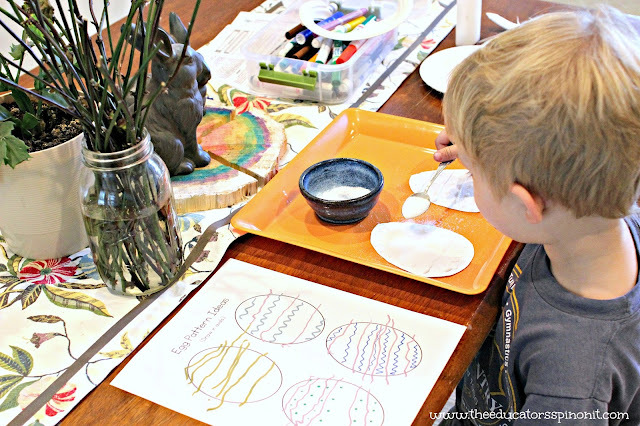 Some children may opt to build egg sculptures every day (and that’s ok!) I encourage children to try every station, but do not make it mandatory. Some teachers require children to try each learning station once before doing one a second time. No matter what you choose, stay consistent. Routines help young children know what to expect. Ruler – a tool for measuring how long or short something is. Scale – a tool for measuring how heavy or light something is. STEM activities are designed to be hands on explorations with open ended endings. Most often they incorporate two or more subject areas. A science experiment with a fixed outcome is great for learning, but not necessarily a true STEM challenge. Make sure to include activities that allow children to explore the materials, brainstorm possibilities, and test their ideas. The ending of STEM challenges, should all look different! Download your Spring STEM Activity Stations HERE. 1. Practice clapping and tapping patterns with your hands. 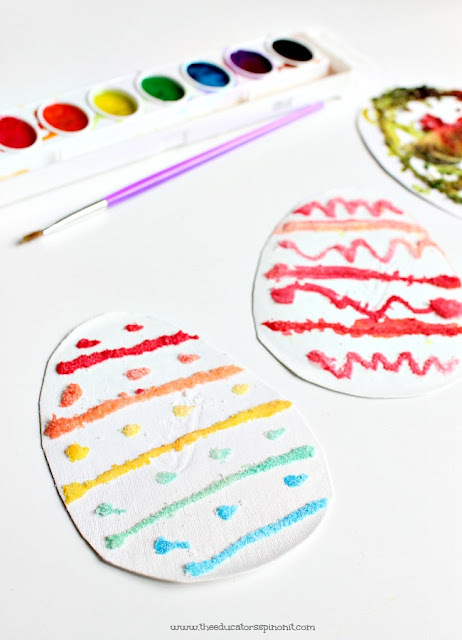 Using markers, let the children draw possible patterns for their eggs on the pattern brainstorming sheet. Do two together and let them do two on their own. 2. Have each child select the pattern they will use. Have them glue that pattern on their eggs with lines, squiggles, and dots. Cover the glue with salt. Gently shake of the excess salt. Here is how we set up this math, art, and science learning station. Trays are great for containing small messes that the salt makes. 3. Explain that salt is a material that absorbs (or soaks up) liquids. Demonstrate how to fill your paintbrush with water and watercolor paint, then gently tap an area with salt on it. Watch as the color spreads and mixes. Let the children experiment with color mixing. Can you make green with yellow and blue paint? 4. Allow to dry overnight. Note: The colors will fade as the paint drys. 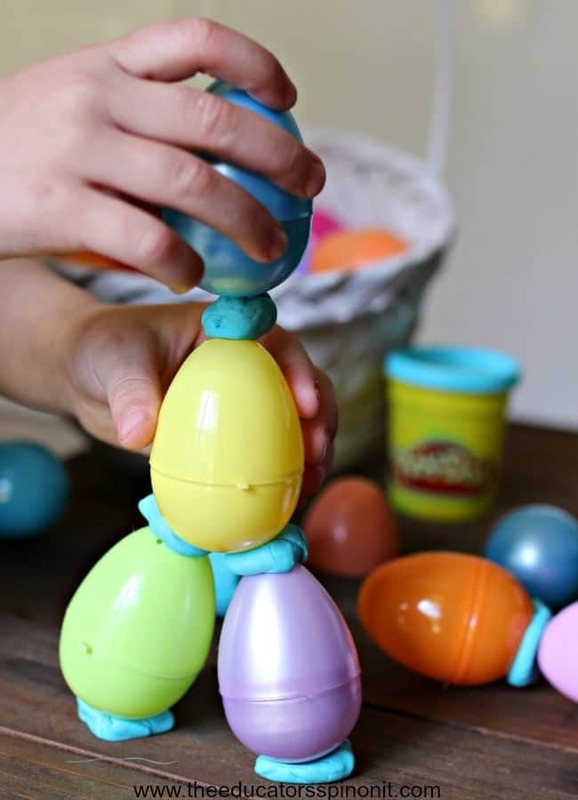 Plastic Egg Tower – open ended engineering for kids. 1. Set out the supplies at a learning station. 3. Encourage them to build 3 dimensional structures. 4. Measure how tall the structure is before deconstructing it! 5. Write your name and how tall your structure is on the T chart. This is a great way to introduce collecting data in a chart format. Spinning Eggs – An introduction to using a timer. 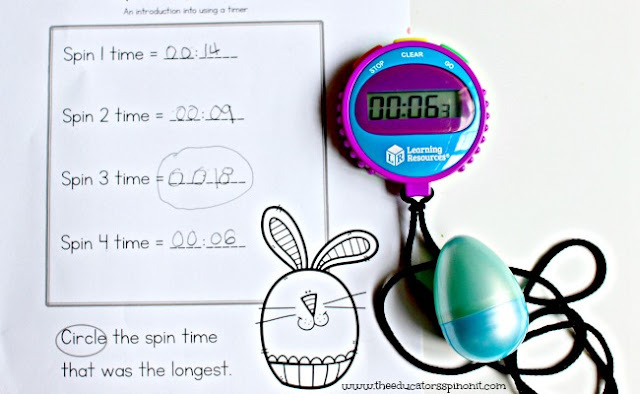 In this challenge, children work in pairs to use a timer to record how long their plastic egg spins. stabilize the egg and make it roll easier. makes sure the timer is clear and reads O. Child 2 prepares to spin. The child with the timer counts down from 3. 3, 2, 1, SPIN. 3. Child 1 starts the timer. Child 2 spins the egg. 4. When the egg stops, child 2 says stop. Child one stops the timer. 5. Children look at the number and write it on the data recording sheet. 6. They then switch roles. Each child will spin and record 2 times. 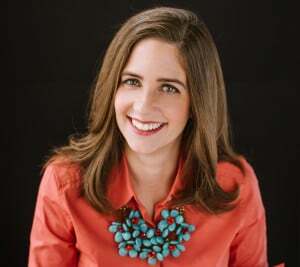 For young preschoolers have them work with an adult or older child to complete the writing tasks. An EGGcelent Weight Mystery: Using a scale to compare unknown weights. 1. Spring is great time to learn about weight. 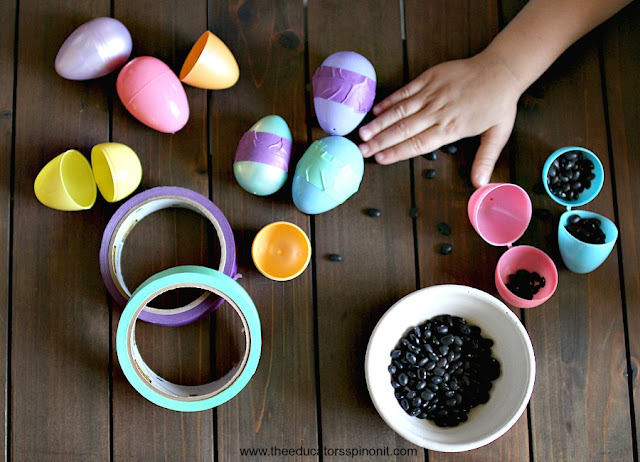 Fill plastic eggs with rocks or beans of different amounts of dried beans. We used anywhere from 2 – an entire egg filled with them. 2. Use a fun colored Washi tape to tape seal the middle. 3. 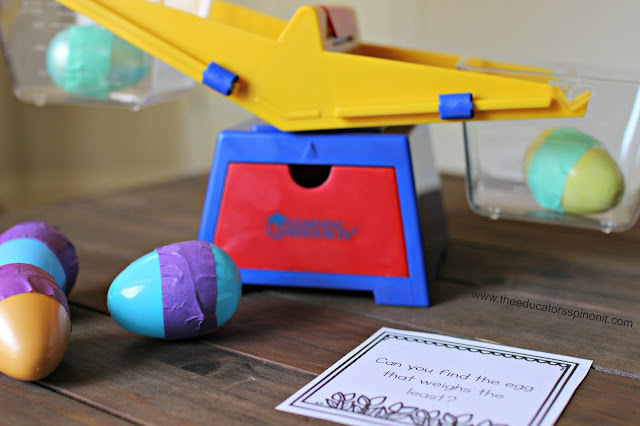 Place the eggs, scale, and the Spring STEM challenge cards next to the scale. 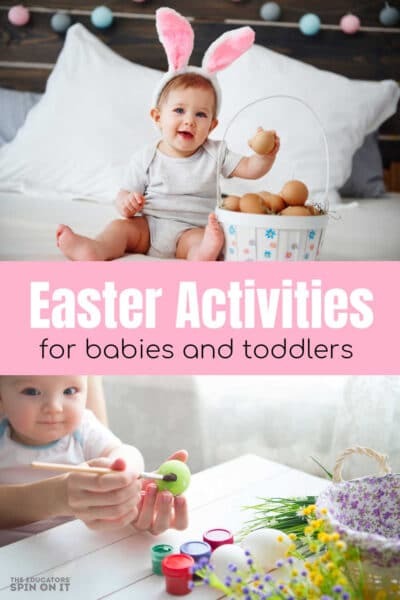 Encourage children to find the egg that weighs the most, the egg that weighs the least, 2 eggs of the same weight, and 2 eggs that are different. Are you looking for more STEM challenges? 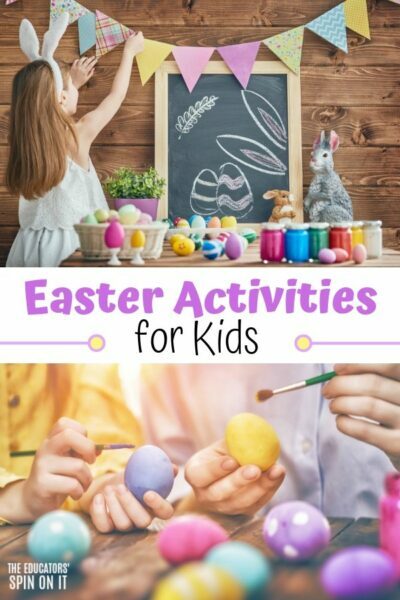 If so, you may enjoy the Butterfly Balloon STEM Challenge, 50+ Hands On STEM Activities, 12 Easter STEM Activities, or even discover How to Store Your STEM Activities. Get the printables and step by step directions for these SPRING STEM Learning Stations Here. 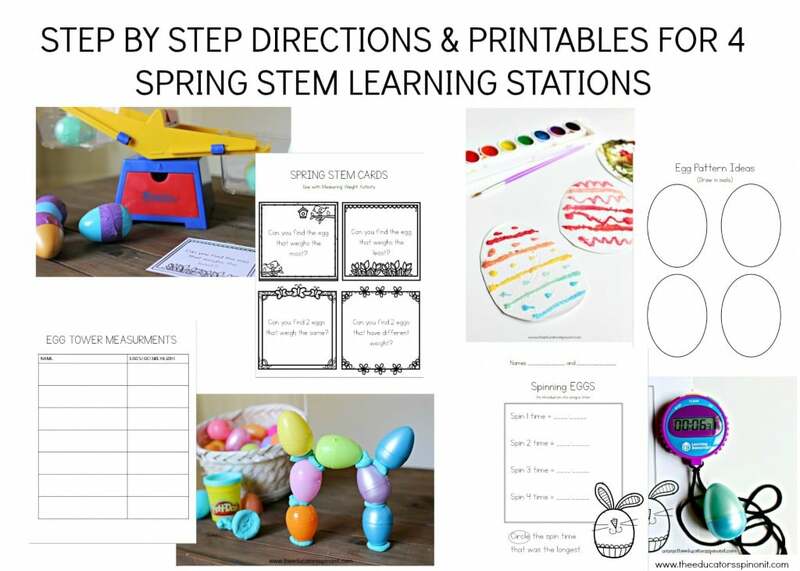 Here are the step by step instructions for these Spring STEM Stations that you can Download and Print for your home or school. 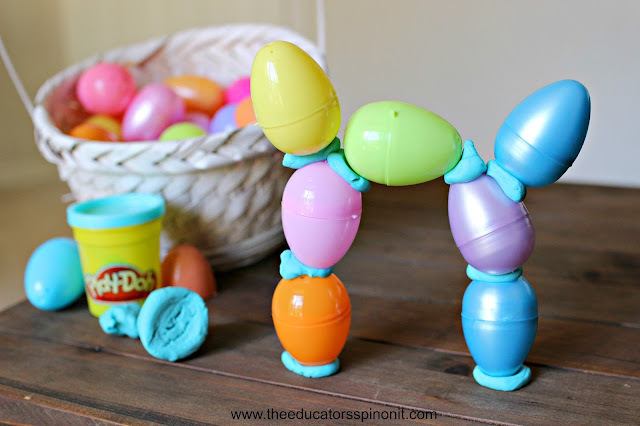 Hope you have fun this spring with these STEM Activities! Neat ideas esp. the egg tower.